Enjoy the Retro Mirror Photo Booth! When you reach an important Milestone, it is hard not to reflect on the memories leading to your special day. Of course, there is no better way to reflect than with our unique Retro Mirror Photo Booth. 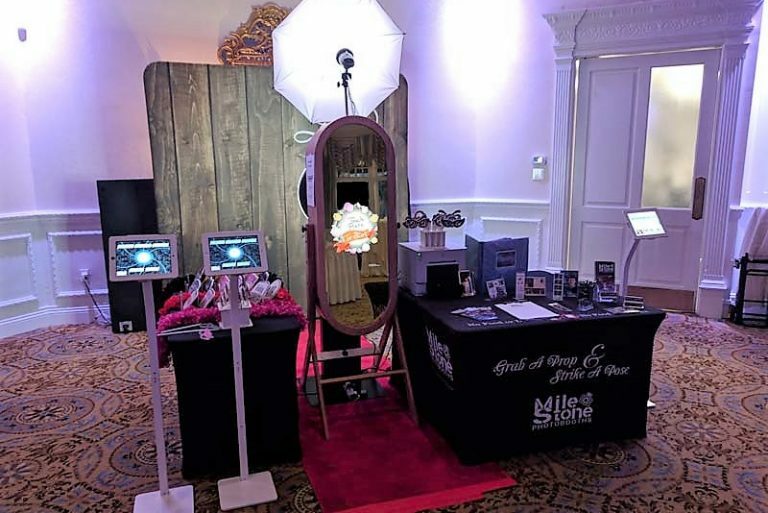 This Magic Mirror Photo Booth brings your event to life through the latest technology in Interactive Picture Taking. What is Interactive Picture Taking? Interactive Picture Taking incorporates your guests into the experience. 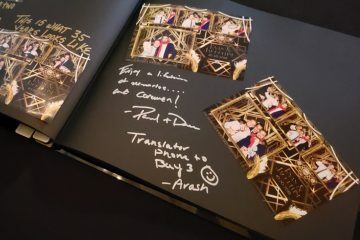 It allows each guest to personalize their photo with something fun and original. Our Retro Mirror Photo Booth features a FULL-LENGTH BODY MIRROR! It is perfect for showing off your outfit, and offers a user-friendly interface for guests of all ages. Activated by touch, this Magic Retro Mirror Photo Booth displays colorful animations and includes interactive games for all your guests to enjoy. We also CUSTOMIZE the screen graphics, photo overlays, design strips, and it includes a customized Engraved Memory Book. LET THE MAGIC OF OUR RETRO MIRROR PHOTO BOOTH BE THE REFLECTION OF YOUR SUCCESSFUL EVENT! 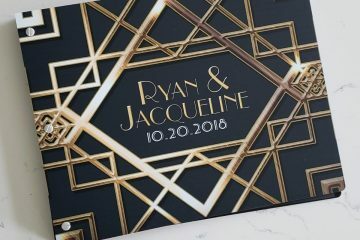 Nothing is more important than having a unique touch added to your event photo booth rental. Choose a design from our extensive template gallery and customize it to your own specifications! You tell us what you want and we will create it. If you don’t find something you like, we will make you a brand new design from scratch! The 4×6 designs are included with every Retro Mirror Photo Booth Package. Playing games at your event? Maybe it was unheard of in the past, but now with the benefit of technology, we can include many fun games like tic-tac-toe and competitive pong for your guests to play. Add a custom touch to your scrapbook. Upgrade to an Engraved Memory Book with your names on the cover. Choose from materials like wood, bamboo, metal & acrylic. These albums will feature either Black Pages or soft White Pages. Guests will use Colored Gel Pens for writing their personal messages. This is a great way to truly add that personal touch to the most important souvenir from your Wedding Day. Check out our cool addons and upgrades!